Post Election….Value of Global Equities +$1.3 Trillion…Value of Global Bonds -$1 Trillion (Bloomberg). 1.Trumpenomics…We Showed One Day 5% Drop in 30 Year Treasury Last Week….Emerging Markets Bond ETF 5% Drop. 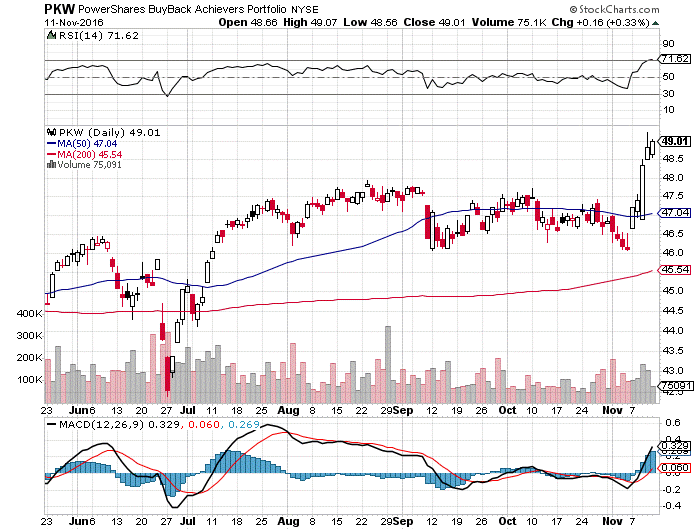 Look at gap down green arrow post-election day, emerging market bonds saw massive flows this year. Who says bonds are not volatile? Negative interest rates history? Did German rates going negative signal the generational low in rates?German (and other European) government bonds had a bad day. 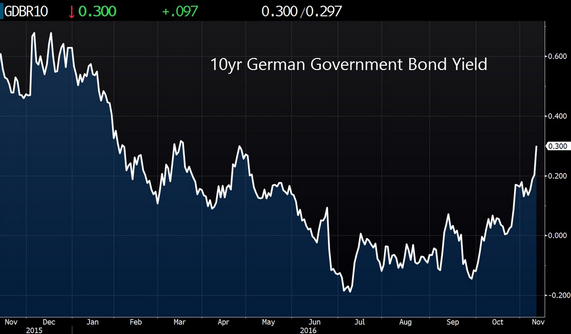 The 10yr Bund yield hit 30bp for the first time since April, and the 30yr is approaching 1%. 2.Trumpenomics….Industrial Sector Breaks out of 4 Year Range on Big Volume. 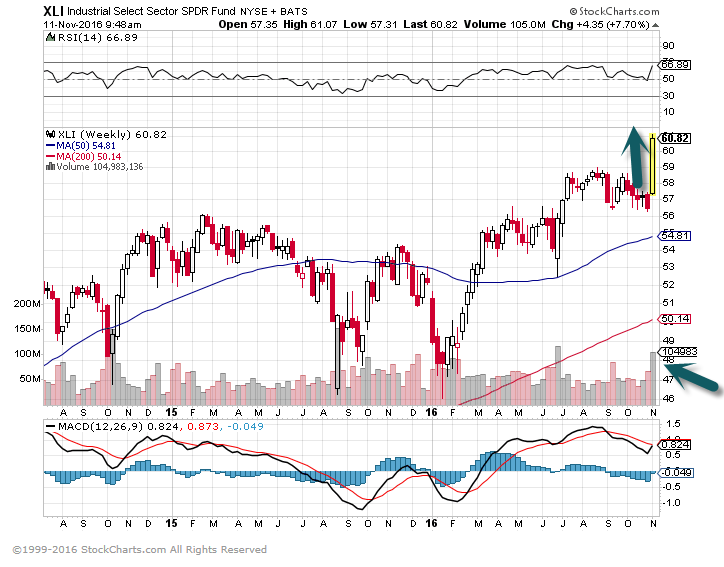 $11 Trillion tax cuts and a massive stimulus package=industrials break out. The Industrials Sector includes companies whose businesses are dominated by one of the following activities: The manufacture and distribution of capital goods, including aerospace & defense, construction, engineering & building products, electrical equipment and industrial machinery. The provision of commercial services and supplies, including printing, employment, environmental and office services. The provision of transportation services, including airlines, couriers, marine, road & rail and transportation infrastructure. Breaking Out of a 4 Year Box on Big Volume. 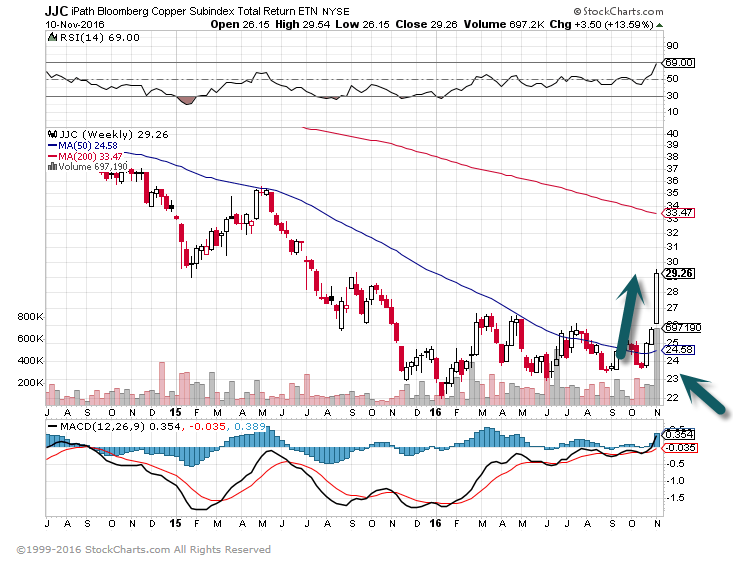 Second Arrow is Volume…See Move on Big Volume. PKW-One of my 3 Horseman of Bull Market….Just when you think buybacks can’t go any higher, we may be looking at massive repatriation of funds under Trump. 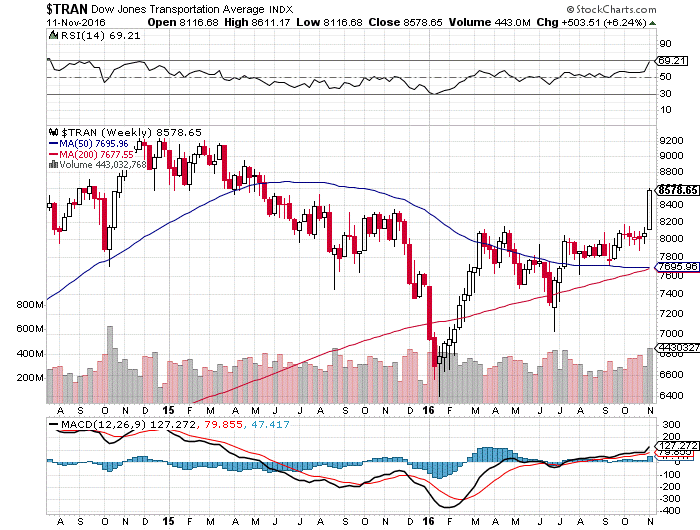 5.Trumpenomics….This Very Well be the Least Talked About but Most Important Chart to Watch in Market…Watch to see if Transports Break out to New Highs…Positive Signal for Economic Growth. 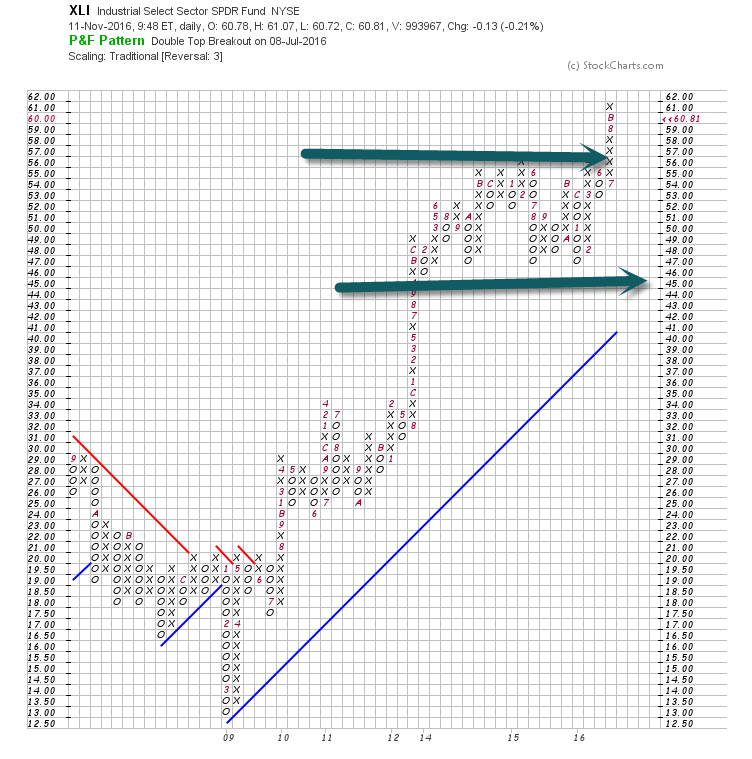 Transports Chart…Closing in on 2015 highs…Outperforming Industrials. 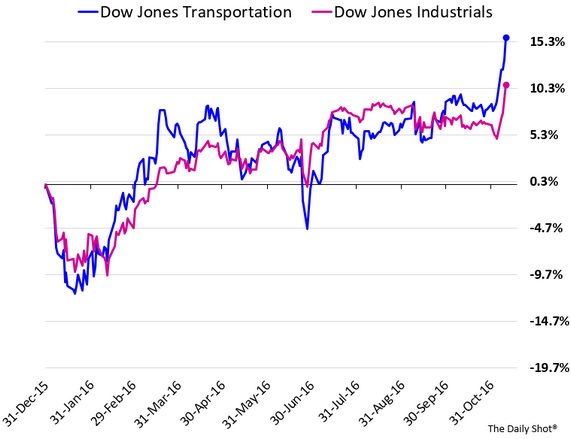 For those who like the Dow Theory, the transport shares are outperforming. 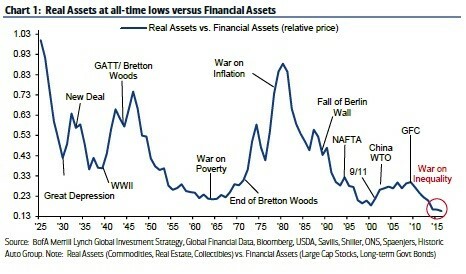 6.Real Assets-homes, collectibles, commodities-are at the lowest levels since at least 1926, relative to financial assets like bonds and stocks, which have benefited the most from central bank liquidity. Real Assets vs. Financial Assets….8.2% of the $3.4 Trillion ETF Universe is Exposed to Real Assets. 7.U.S. 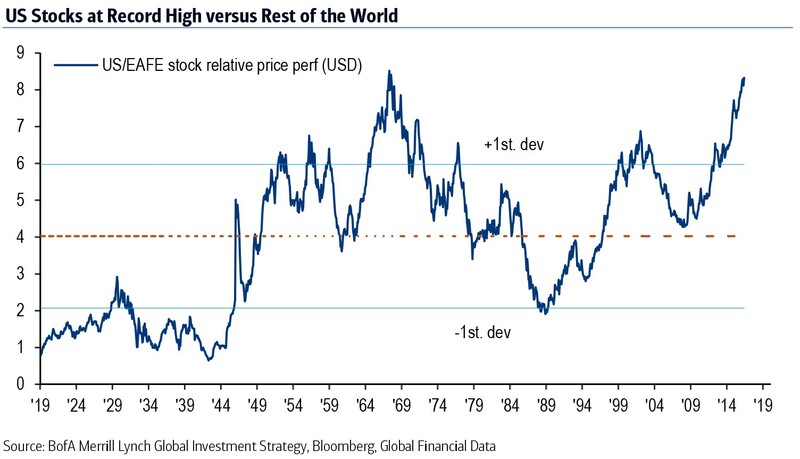 Stocks Versus Rest of World Continues to Hit Record Highs on Relative Price Performance….Will Trumpenomics spark inflation and growth in commodity centralized emerging markets? 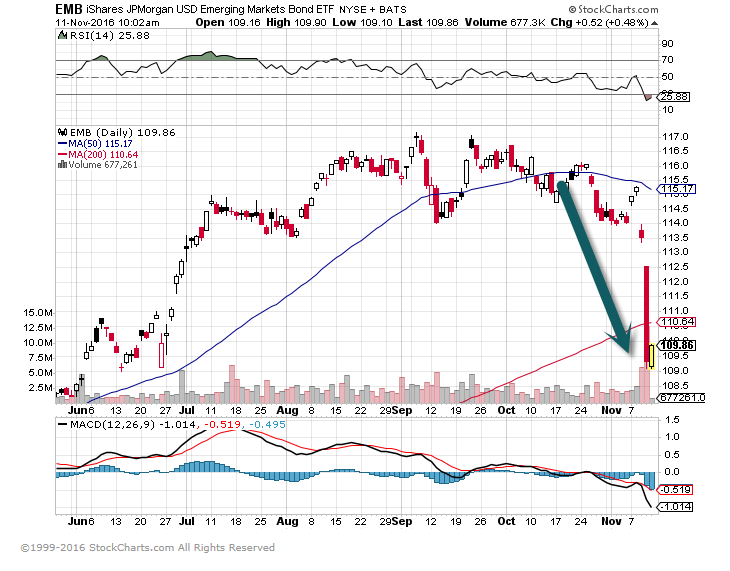 Or will strong dollar weigh down Emerging markets heavy debt loads? 8.Historically Bull Markets Don’t End with Retail Investor Sentiment Near Historical Lows. The AAII Investor Sentiment survey measures the percentage of individual investors who are bullish, bearish and neutral on the stock market for the next six months. Of particular interest is the bullish percent number that is a solid contrarian indicator and often shows investors’ complacency/fear at important turning points in the market. From a historical perspective, the lower decile (bottom 10% readings) of the Bullish % numbers resides at 26%. For the week ending November 2, 2016, the sentiment survey recorded a bullish % reading of 23.6%, which falls in the bottom decile of all observed values since July 1987 (as shown in the table right below). From a contrarian perspective, the data suggests a positive bias and that the path of least resistance is likely higher. From a performance perspective, we went back in history (1987-present) and calculated average and median market returns after such low readings were observed. 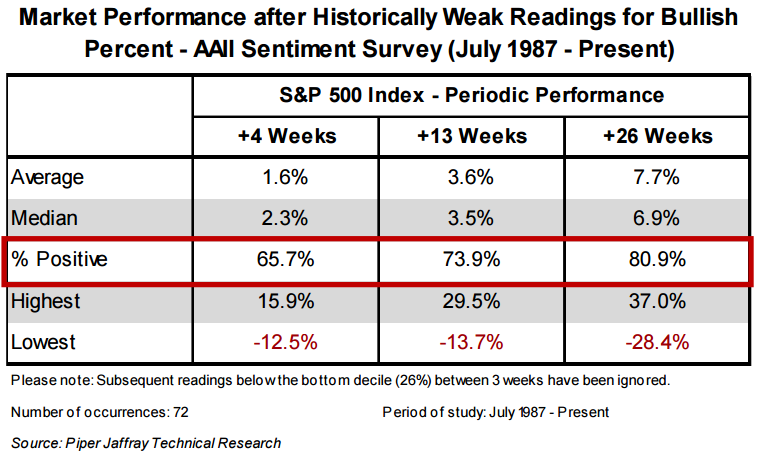 We note that the SPX index has been higher over the following 13- and 26-week periods, 74% and 81% of the time respectively. Additionally, the SPX has recorded positive average returns of 7.7%, six months after weak readings of the Bullish % numbers were observed. 9.Wow! 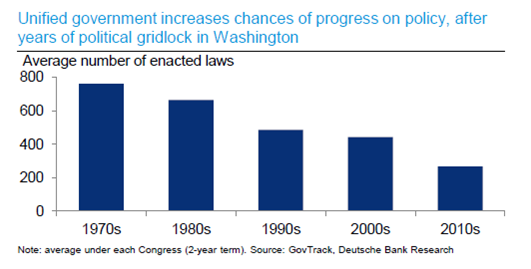 This One Surprised Me….Collapse of Average Number of Laws Enacted. Looking back in history, it’s easy to think of famous leaders as static figures, like statues in a museum. 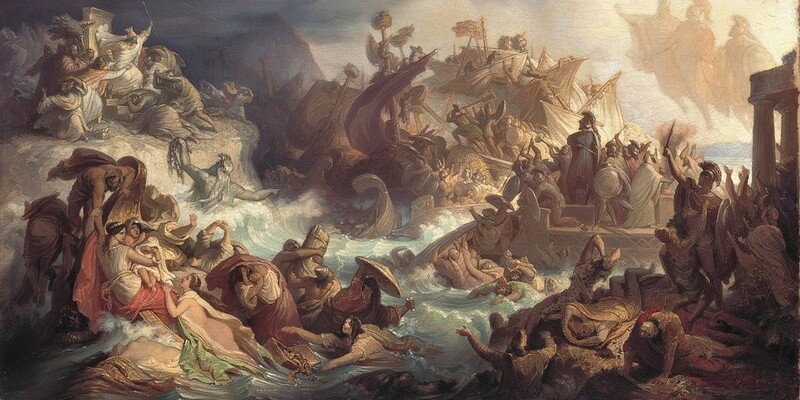 As James R. Holmes wrote for Real Clear Defense, the sacrifice remains “a parable of valor in the face of insurmountable odds.” As a leader, Leonidas understood the importance of putting the well-being of his troops before his own in order to ensure the freedom of Greece. However, his confidence in his own divinity ultimately prompted him to overstretch himself and his empire. After his tired army forced him to turn back in India, he had completely burned out. Even the most talented leaders can’t overwork themselves — they know when to back off or take a break. 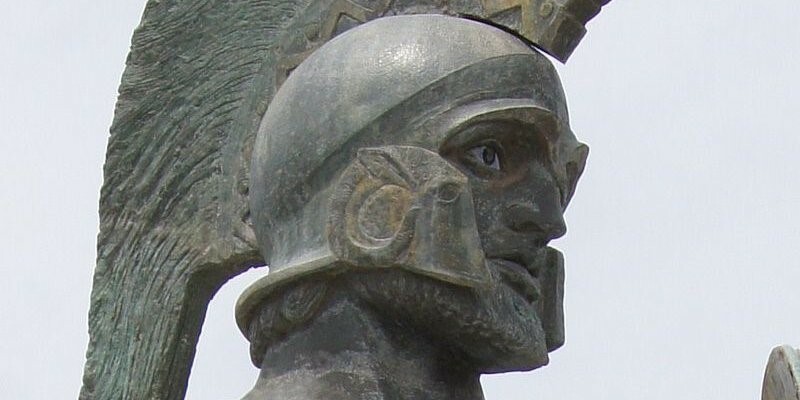 Alexander’s inability to do this largely caused his untimely death in 323 BCE at the age of 32. 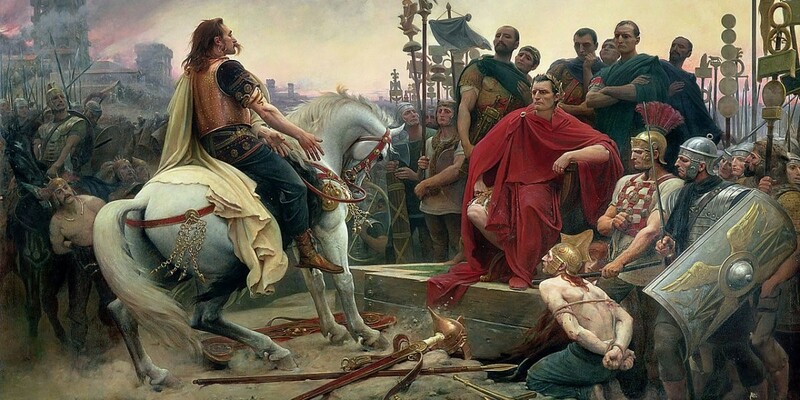 Ultimately, Rome turned the tables on Hannibal, attacking Carthage and forcing him to return to Africa, where he was defeated in the Battle of Zama. This historical incident is excellent proof that talent and smarts are important, but you’ll need the support of others to truly succeed.